After months of teasing us with reveals of colorful money, plastic towers and murloc-infested cards, World of Warcraft Monopoly is finally available ready for public consumption. Want to see what's inside? I've been sitting on an advance copy of World of Warcraft Monopoly for weeks now, eager to rip open the game and get my land grab on. I figured when the servers go down the board goes up, the whole family gathering around for a rousing real estate game, Blizzard-style. Unfortunately the whole family consists of a pair of one-year-olds, a woman that couldn't care less about World of Warcraft, and a pair of brand-new kittens — Pixel and Sprite — too busy trying to escape the shadow of a much greater cat to worry about growing opposable thumbs and developing higher intelligence. So here I am, opening up the box and fumbling through its contents, sad and alone, so distraught I call a core hound a hell hound. 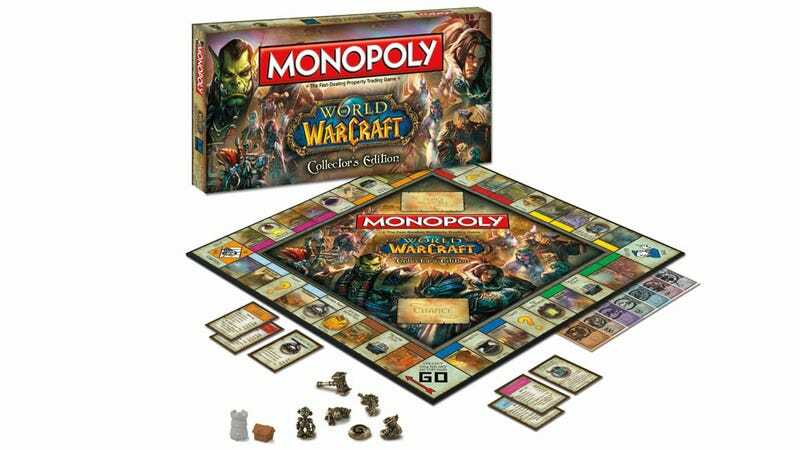 World of Warcraft Monopoly is available at the Blizzard Online Store for $39.95.